Wonderful world leaps off the 5.5" HD widescreen. It engages you in the world of games and movies to overlook what happens in the surroundings. Take it anywhere and enjoy it anytime, as it adjusts brightness automatically to the environment for steadily clear display. The screen features pure black aesthetic touch, which adds to your quality life. 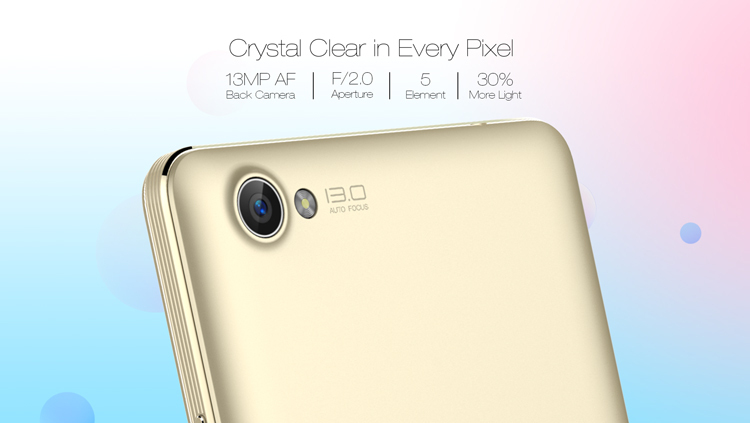 Launch the 13MP AF back camera at parties, family reunion, or gorgeous tourist attractions. It will capture every beautiful detail reflected on the lens. Gesture capture takes it to a smarter level. Use specified gesture to capture the moments in a second. The F/2.0 aperture takes in 30% more light than its previous version while the back flash adds light of natural hue, which combine to result in bright images even in low light. Preview your smile, adjust if necessary, tap the button gently and freeze the moment into a perfect selfie. 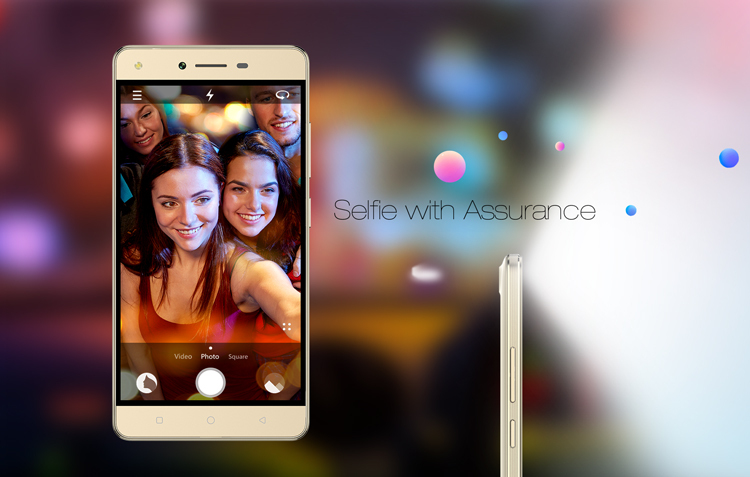 The front camera is always at your service when you are ready to take a shot in the day or in adverse light conditions. It's equipped with a flash to brighten the surroundings for a satisfying photo. If you are thirsting for better effects, the beauty mode shall render you instant enhancement. 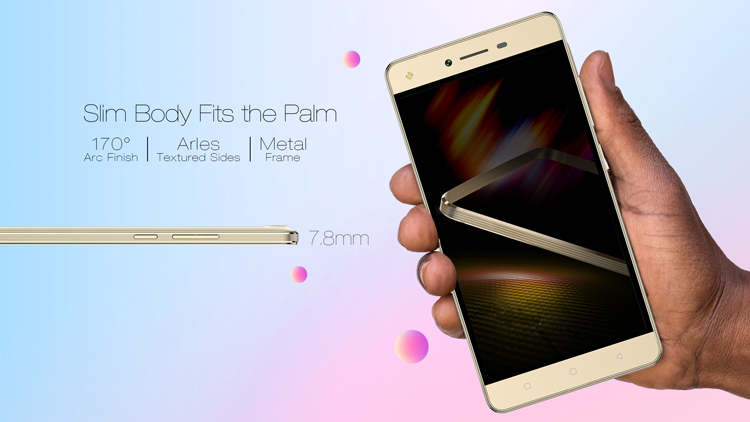 Ergonomically designed 7.8mm slim body sits steadily in your palm for a comfortable grip, conveying a smooth touch from front to the back. The sides are laser-carved with delicate Arles texture to deliver metallic luster and inspire beauty. The metal frame meets a textured back with a 170° arc finish to enhance the overall design. 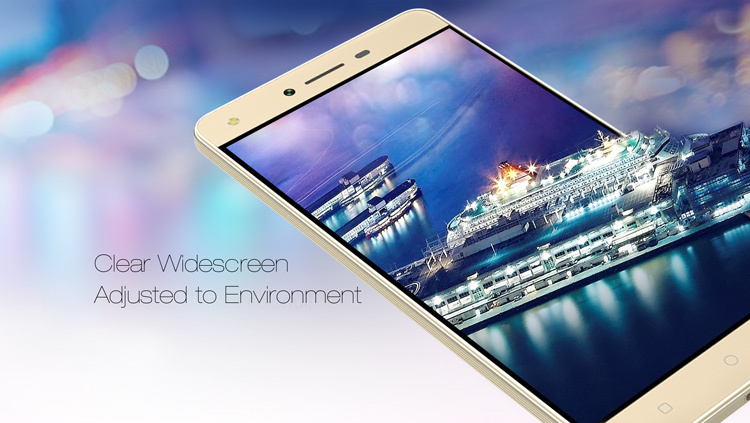 Powered by quad-core processor that clocks at 1.3 GHz, the phone is faster whatever you do. It is faster in launching apps, playing games and streaming videos. Just enjoy it. W5 Lite supports more bands, keeping you connected as you travel and effectively assisting your global roam. Its dual-SIM module allows you to choose your favorite carriers as you further your journey. BT 4.0 enabled, you can count on the device for faster data transfer, thus, enjoying better experience as you exchange photos or music with friends. Freshly out of the box, Android 6.0 energizes a much smarter operation. At on single tap, you can speed up or change wallpaper. The device is well managed for smoother shifting and longer use. It offers a variety of choices, such as fonts and themes for you to personalize the device, making it particularly and essentially yours.